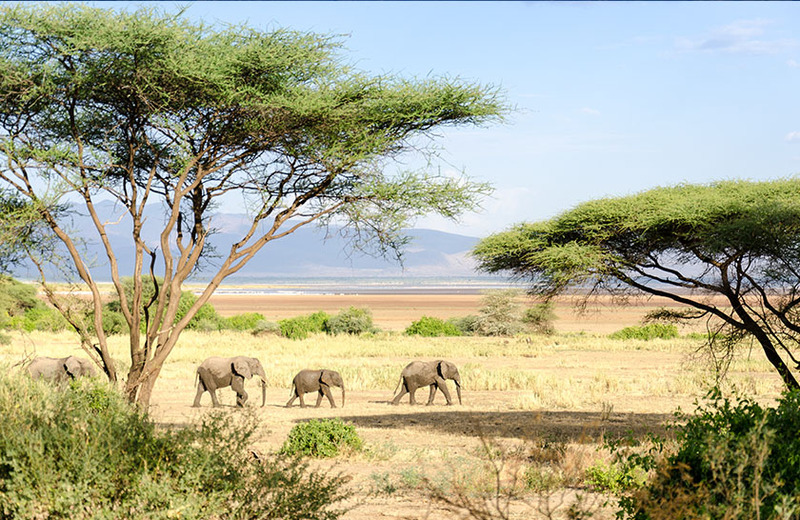 Lake Manyara National Park lies 130 kilometers outside of Moshi town and encompasses Lake Manyara and its surroundings. There are five different vegetation zones including groundwater forest, acacia woodland, open areas of short grass, swamps and the lake’s alkaline flats. 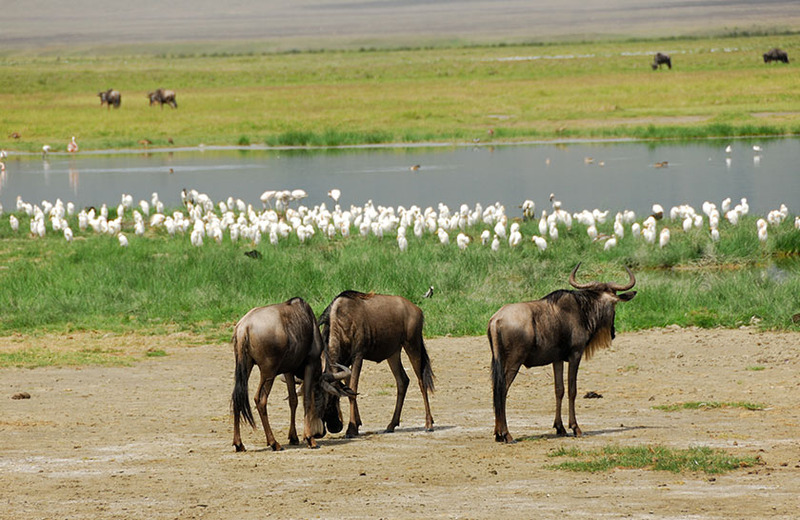 The park’s wildlife includes more than 350 species of birds, baboon, warthog, giraffe, hippopotamus, elephant and buffalo. If lucky, catch a glimpse of Manyara’s famous tree-climbing lions. Night game drives are permitted in Lake Manyara. 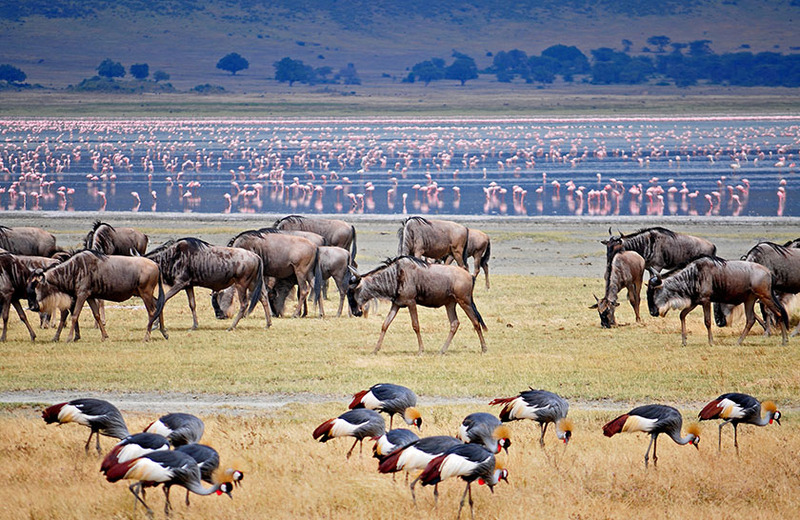 Located beneath the cliffs of the Manyara Escarpment, on the edge of the Rift Valley, Lake Manyara National Park offers varied ecosystems, incredible bird life, and breathtaking views. 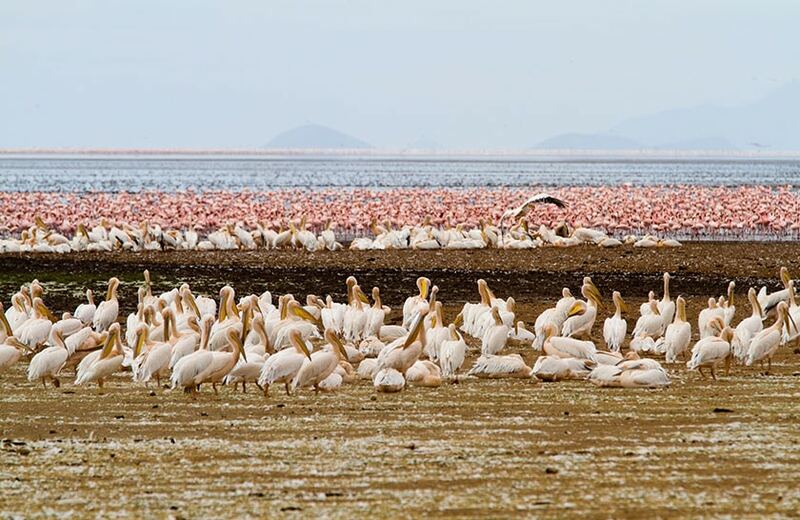 Known for its elephants and tree-climbing lions, Lake Manyara is also excellent for flamingos and other fascinating birds in and around the soda lake. 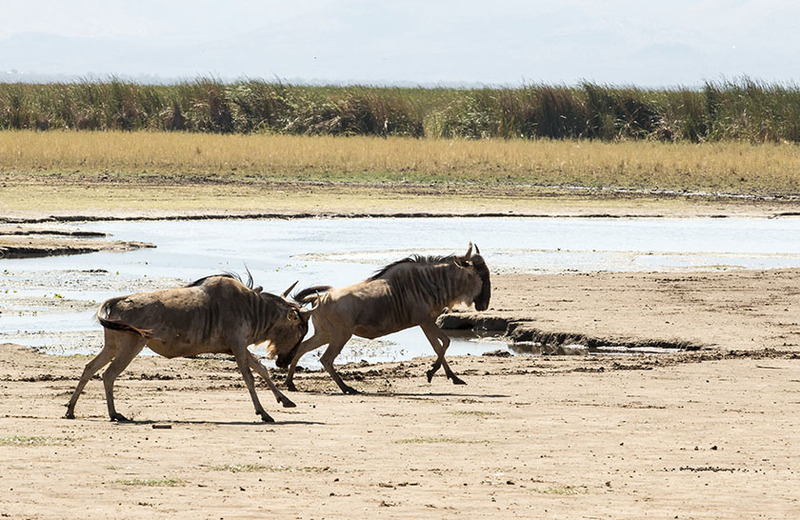 A Lake Manyara safari is a unique and fascinating experience as the Park offers vast ecological variety in a small area, featuring a ground-water forest, acacia tortilis woodland and hot springs called Maji Moto.